Athletic stage mothers Lucy and Viv become so overwhelmed with their sons doing well in little league baseball, they drive the boys to distraction and end up being tossed out of the ballpark. 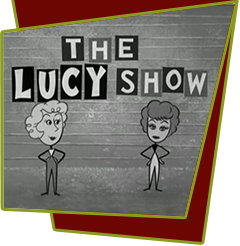 Determined to watch Jerry play, Lucy dons various disguises to sneak back in, but her big mouth gives her away every time. Viv, however, stays quiet and has more success. Special Notes: Most of the ball players were 12 year old members from various teams of the Little League in Westchester, Southern California. During the week of rehearsals, the Westchester Little League players taught Ralph Hart how to hit the baseball for the game-winning home run. The prop baseball was hollow plastic and the bat was made of balsa wood. Bloopers: One of the spectators at the ball game moves around. In one moment, he's in the stands, and a few moments later he's seated behind the umpire.